Not only is Northerly an impressive, functional photo booth on the inside, but she sure is pretty on the outside too! She will be the highlight of your event and will have guests talking for weeks to come. You will want photos with the outside just as much as you want the photo booth photos! We are Kate and Tony Becker. 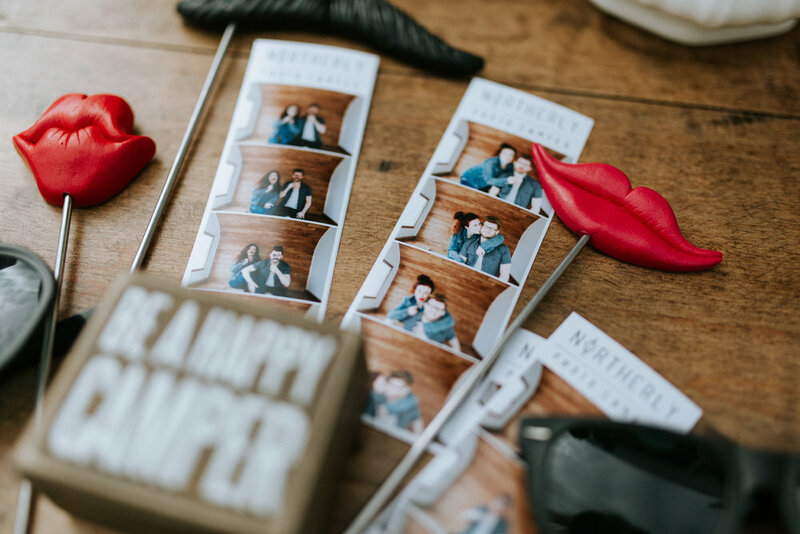 We created Northerly in 2017 to fill the void that Minnesota had of a truly unique photo booth experience! When we purchased her, she was and old concessions trailer that was quite literally falling apart. We had a blast restoring her and giving her a new life and purpose! Northerly is available for any kind of event that you are hosting! Weddings, corporate events, graduation parties, birthday parties, you name it! We are able to customize Northerly's package to fit your needs depending on the location and duration of the event. We'll also customize the photo strip for you!